The cast of ‘Riverdale’ took on the characters and re-enacted lines of the movies Himala, Darna, Bituing Walang Ningning, and One More Chance. In the video posted by local telco Globe, KJ Apa took on the role of Popoy originally portrayed by John Lloyd Cruz in One More Chance; Camila Mendes delivered the famous line of Lavinia played by Cherie Gil in Bituing Walang Ningning; Lili Reinhart uttered an English version of the prominent line by Elsa played by Superstar Nora Aunor from the 1982 movie Himala; while Cole Sprouse acted out a line by Filipino heroine Darna, which was popularly played by Star for All Seasons Vilma Santos. In the show, KJ Apa plays Archie Andrews while Cole Sprouse takes on the character of Jughead Jones. Meanwhile, Camila Mendes plays Veronica Lodge and Lili Reinhart portrays Betty Cooper. 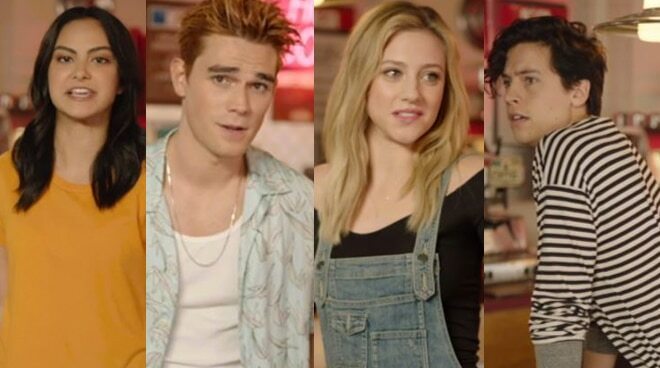 Riverdale Season 3 has already started streaming on Netflix.